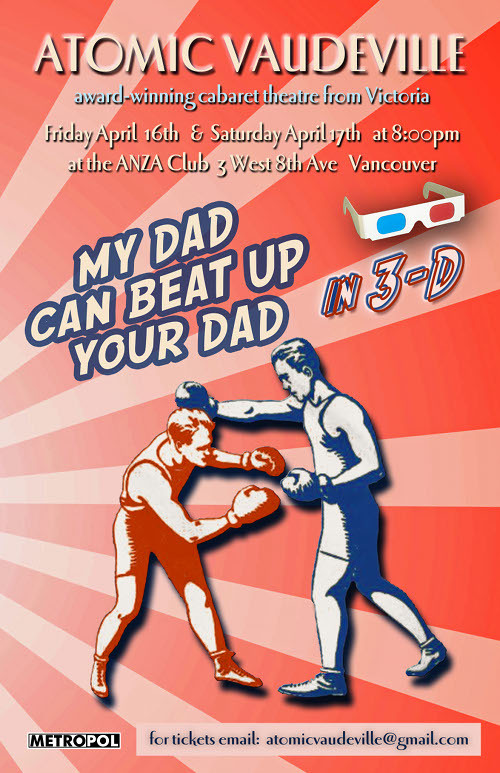 Atomic Vaudeville in Vancouver for this weekend only! For the uninitiated, Atomic Vaudeville is a Victoria institution, putting on monthly plays consisting of “short-form mélange of theatre, music, song, dance, puppetry and sketch”. Co-creators Britt Small (read her Next Stage interview here) and Jacob Richmond have carved out a rabidly popular entertainment alternative in their home town, and this weekend they’re bringing it to the Anza Club on Friday and Saturday night. Should be a riot.